Seller will give you a gift certificate in the amount of 29,9 RUB for a positive review of the product purchased. 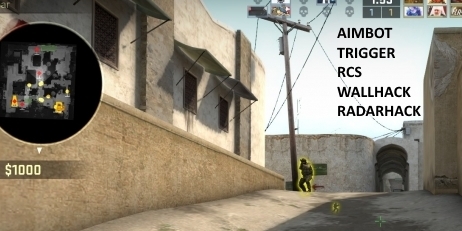 Private cheats for Counter-Strike Global Offensive. Aimbot, ESP, triggerbot, radarhack, RCS. Private - private version of this Internal cheat for Counter-Strike Global Offensive by ezcheats.ru. This hack has improved ESP, aimbot, triggerbot, radarhack and spread autocompensation. Check official page for more info. Seller will give you a gift certificate in the amount of 29,9 RUB for a positive review of the product purchased..